Mrs. H.K. Joshi took over as Director(Finance) of the Shipping Corporation of India ltd. on 5th February, 2015. Prior to assuming charge of the office of Director(Finance) in SCI, Mrs. Joshi was General Manager(F&A) in Oil and Natural Gas Corporation Ltd., Mumbai in the Offshore Engineering Services wherein the large Mega Offshore Construction Projects are handled. She has a shade over three decades of rich and diversified experience with ONGC which includes almost two decades with ONGC Videsh Limited (OVL – overseas arm of ONGC) which looks after the international business acquisitions of ONGC wherein she was actively associated with the path breaking international transactions which led the company (OVL) to turnaround. Mrs. Joshi is a B.Com, M.Com and M.Phil from Delhi School of Economics, Delhi University and was a rank holder in her post graduation. She started her career as a Lecturer in Delhi University prior to her joining the corporate world in 1984 and is a Fellow Member of the Institute of Cost Management Accountants of India. She is also a life member of the Institute of Public Administration, Delhi. She had been deputed to Dallas (USA) for four weeks for financial training and has undergone Advanced Global Leadership Program conducted by SCOPE and IIM Kolkata, with overseas exposure in Europe and has to her credit various overseas assignments during her long association with OVL during which she travelled to Yemen, Iraq, Iran, Oman, Dubai, Qatar, London, USA, Singapore, Vietnam, Russia and Kazakistan. 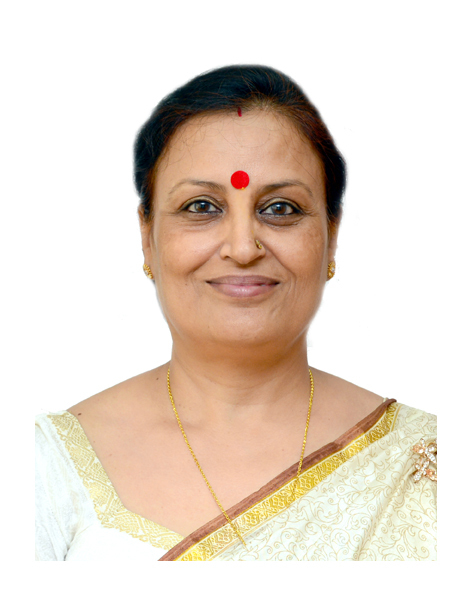 Mrs. Joshi also presently holds additional charge of the posts of Director (P&A) in SCI consequent upon the superannuation of Capt. B.B.Sinha on 11.08.2017, till 10.11.2017 or until further orders or till a new incumbent is appointed by the Government of India.